Varmint Removal & Repair offers humane, effective removal of bats and unwanted wildlife from your home or business. Birds can nest in vents or on ledges and their droppings accumulate. 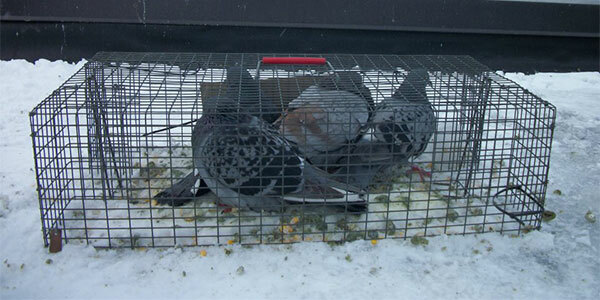 We solve problems associated with birds and pigeons. Call Varmint Removal & Repair! Varmint Removal & Repair provides Animal Control, Removal, Repair and Clean-Up services, all pesticide and chemical-free! 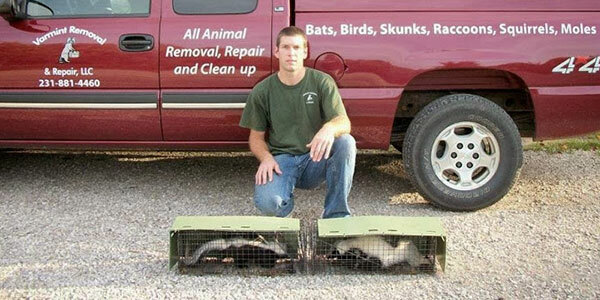 We remove bats, skunks, raccoons, squirrels, snakes, birds, beavers, and more! Varmint Removal & Repair serves the Northern Michigan and Eastern U.P. 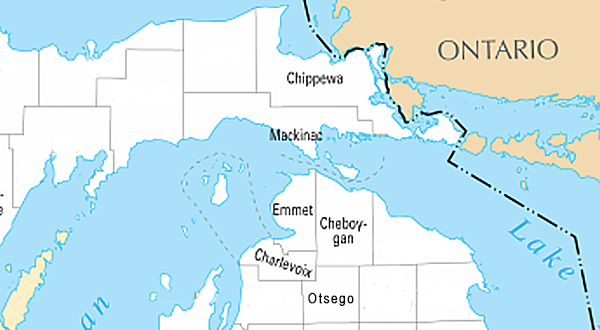 counties of Emmet, Charlevoix, Cheboygan, Otsego, Mackinac, and Chippewa. Josh is extremely kind, professional, timely and does a great job. He had no problems taking care of the red squirrel issue in our house. He's great at what he does and takes it very seriously. What I enjoy the most is his ability to explain things to me so it makes sense and also do the job quickly and efficiently. Hire Josh and you won't be disappointed! 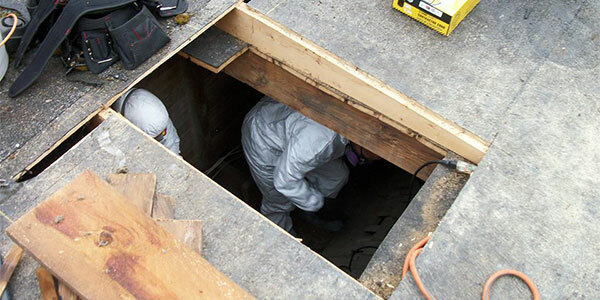 Varmint Removal & Repair removes bats, squirrels, raccoons, snakes, and birds with proven Pesticide-Free and Chemical-Free Control techniques that are humane and efficient. Varmint Removal & Repair removes wildlife and critters that cause damage to your lawns and landscaping like skunks, raccoons, moles, and beavers. 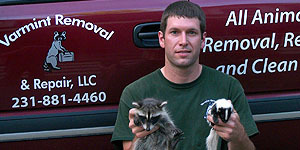 Varmint Removal & Repair also offers dead animal removal. Bats cause problems when they enter our structures and, over time, a bat colony grows in number and produces large amounts of urine and guano (droppings). Bats can enter structures through openings as small as ¼” by ½”. Birds cause conflicts with humans and extensive damage to structures. 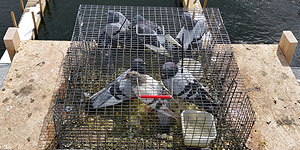 Birds and pigeons can nest in vents, openings in a structure, or on ledges, and bird droppings and nesting material accumulates in these locations.